Yplatform: Our History « Yplatform | global insights – local impact | Connect. Empower. Inspire. The very first batch of Yplatform Solvers went through training sessions in Hanoi on problem solving methodology & techniques with the consultants from McKinsey & Company (Vietnam) – our partner. 16 Jun 2013 Yplatform Solutions is launched with a purpose to create a model that can engage talented students and professionals in in solving hard business questions for fast-growing Vietnamese companies. Read more about it HERE and HERE. 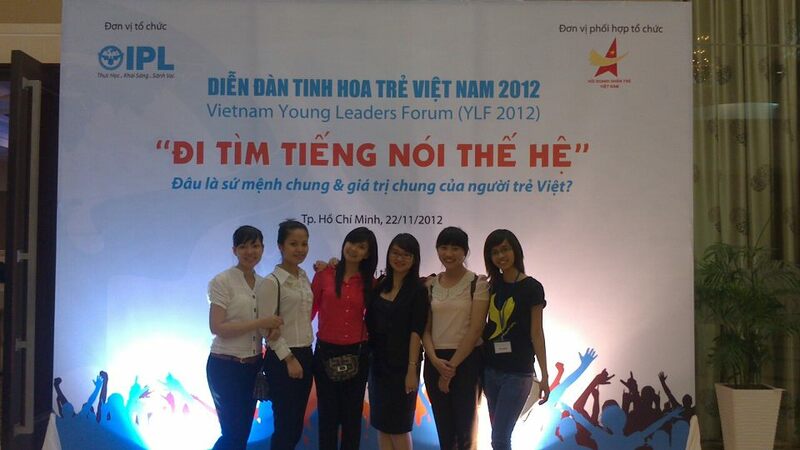 22 Nov 2012 Yplatform supported the Young Leaders Forum (YLF), organized by Institute of Potential Leaders (IPL) in HCMC, as one of its partners. Ms. Le Thi Ngoc Giao, Yplatform’s founding member and co-executive director, joined as one of the Speakers to represent the voice of Vietnamese youth. 14 Oct 2012 The Grand Finale was organized in Ho Chi Minh City where the finalist teams present their case solutions to the public. We expressed our tremendous to our corporate partners who have been supporting us along the way: Vinamilk, Tropdicorp, and VNG Corporation. We also expressed our thanks to our Institutional Partners: SMU Case Writing (Singapore Management University), NUS Business School (National University of Singapore), and Institute of Potential Leaders (IPL). In addition, we also held a panel discussion on the topic “Vietnamese businesses’ ambition on the international playground”, with the participation of Ms. Vu Kim Hanh (BSA) and senior management of the 3 partner companies. 11-13 Oct 2012 6 finalist teams (24 participants) joined the Field Trip in Vietnam to our 3 partner companies: Vinamilk, Tropdicorp, and VNG Corporation; and make presentations to their top management. Among the 24 participants, 11 of them are Vietnamese students, and 13 of them are Singaporean/international students. 30 Sep 2012 The Case Presentation Day was held in Hon Sui Sen Auditorium, National University of Singapore. 6 teams were selected to proceed to the Final Round in Vietnam. We expressed our sincere thanks to our Board of Judges who have been supporting us throughout the day. Please click HERE to view more pictures. 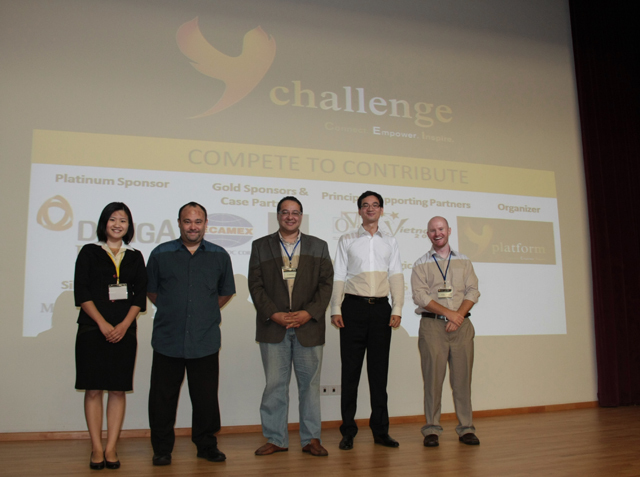 29 Sep 2012 The 24-hour Challenge was held in the BIZ 2 building, National University of Singapore. 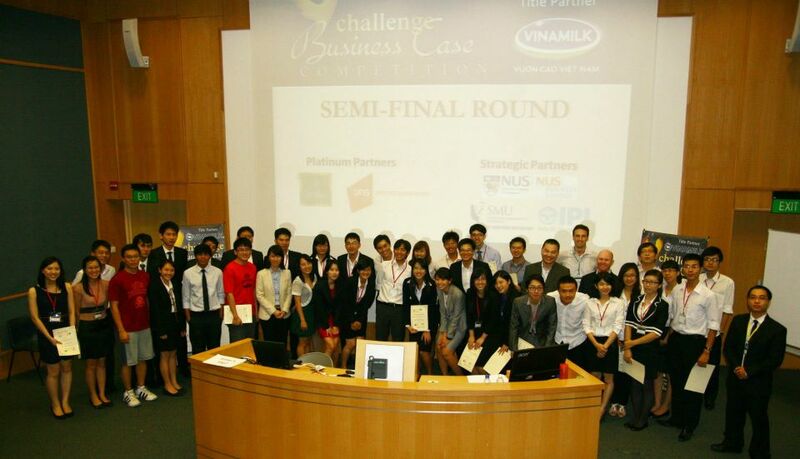 12 teams from both Singapore and Vietnam solved the cases of 3 partner companies: Vinamilk, Tropdicorp VNG Corporation. 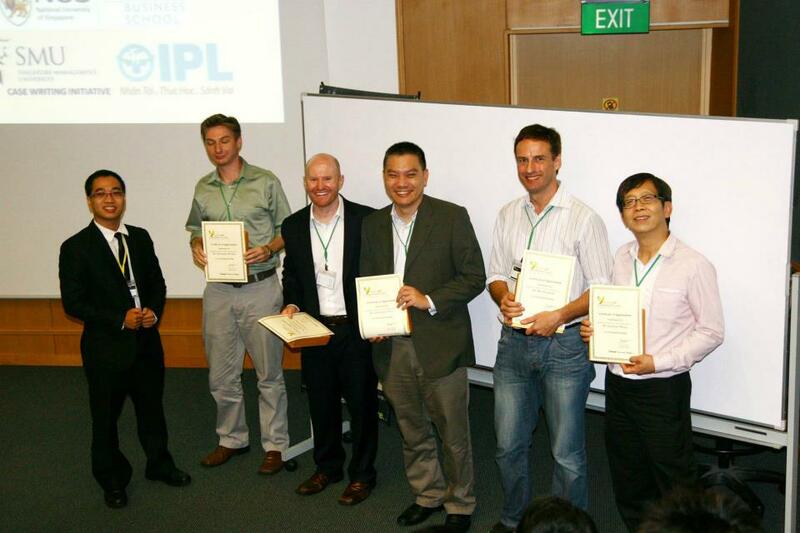 11 Sep 2012 We created a Memorandum of Understanding for a long-term cooperation between Yplatform and Institute of Potential Leaders (IPL). 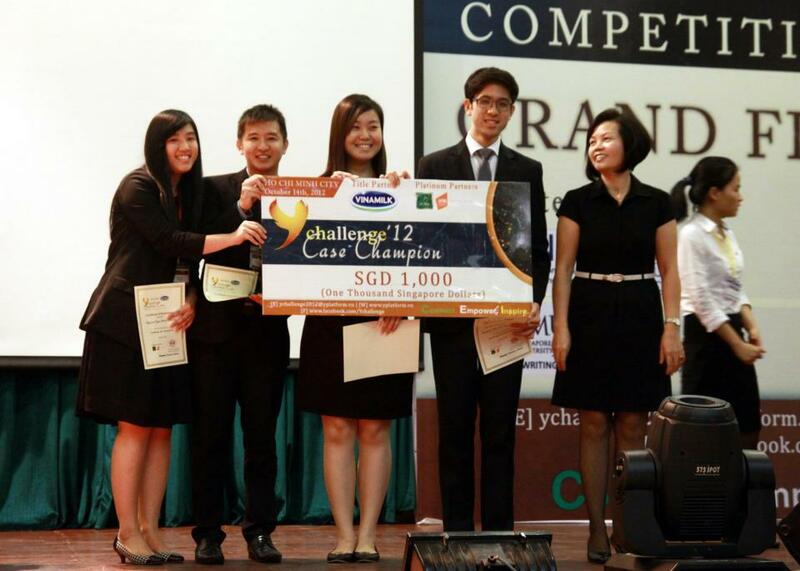 29 Aug 2012 The registration period of Ychallenge 2012 Business Case Competition ended. We were excited to receive overwhelming responses from more than 900 students and young professionals in Singapore, Vietnam, and even a few in other countries like Cambodia, Indonesia, Finland, etc. 17 Aug 2012 VNG Corporation continued their supports for Yplatform as one of the Corporate Partners for Ychallenge 2012. 12 Aug 2012 Vinamilk continued to support us and became the Title Partner of Ychallenge 2012. We expanded our cooperation with Vinamilk with the title partnership and the development of two business cases for Vinamilk. 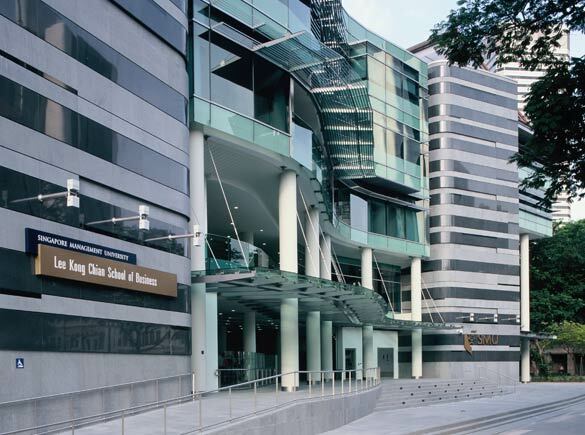 30 Jul 2011 NUS Business School (National University of Singapore) continued to support us as the Strategic Institutional Partner. We thanked the NUS Business School and Dr. Helen Chai (Assistant Dean) for their tremendous supports for Yplatform in Ychallenge 2011 and Ychallenge 2012. 30 Jun 2012 Tropical Development & Investment Corporation (Tropdicorp) joined as a Corporate Partner. 06 May 2012 Mdm. Pham Chi Lan joined Yplatform’s Board of Advisors. 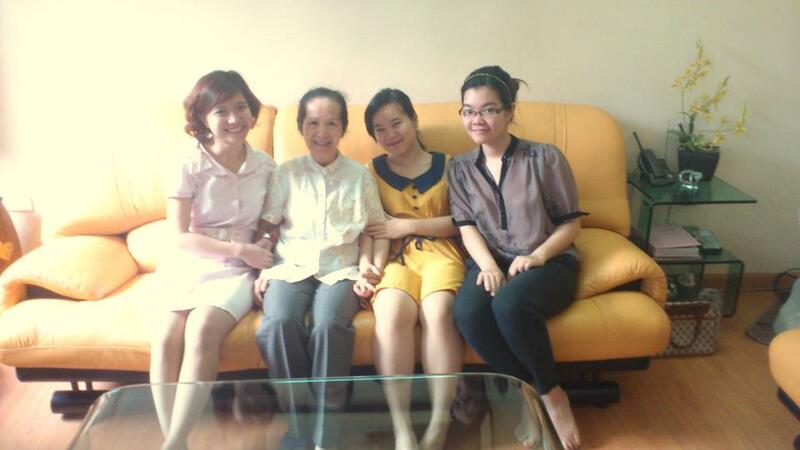 Some of our team members in Hanoi came to visit her. 19 Apr 2012 The Vinamilk Case has come to the final examination of the Brand Management class in Singapore Management University (SMU). 14 Apr 2012 The first meeting of the whole Ychallenge 2012 big team. In addition to Singapore and HCMC, Yplatform team has now expanded to Hanoi as well. The team now has more than nearly 50 members in 3 different locations: Singapore, HCMC, and Hanoi. So most of our meetings are now online, conducted using high technology. 26 Feb 2012 Mr. Tran Anh Tuan, Daniel (a researcher at Panasonic Singapore, and part of the winning teams of Ychallenge 2011) joined our team as the Project Director for Ychallenge 2012. 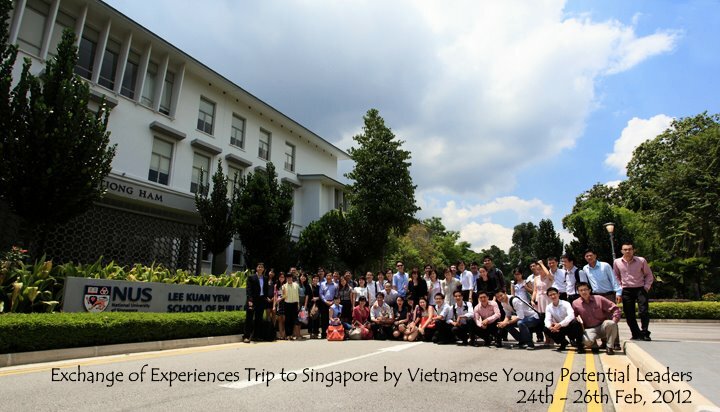 25 Feb 012 Yplatform organized a talk and idea exchange session to welcome the 2nd batch of the rigorous Institute of Potential Leaders (IPL) program (aimed to nurture the next generation of business leaders for Vietnam) to Singapore for a study trip. IPL is a not-for-profit program and was founded by dedicated Vietnamese entrepreneurs, intellectuals and PACE Institute of Directors. A panel discussion was held to discuss the topic: “The Singapore story and its implications for a vision & responsibilities for Vietnamese youth toward the future of Vietnam”. Our Advisor, Dr. Vu Minh Khuong, participated as a panelist. 08 Jan 2012 The team gathered at Dr. 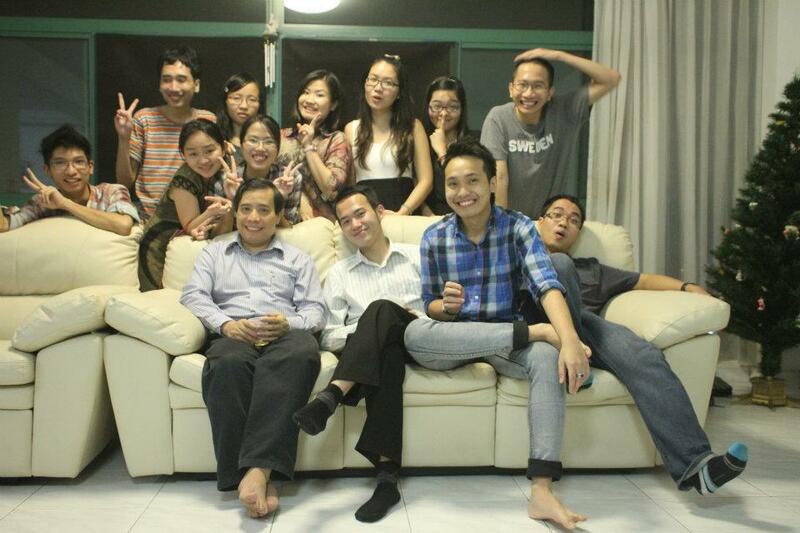 Vu Minh Khuong’s house and received his advices for the coming journey. 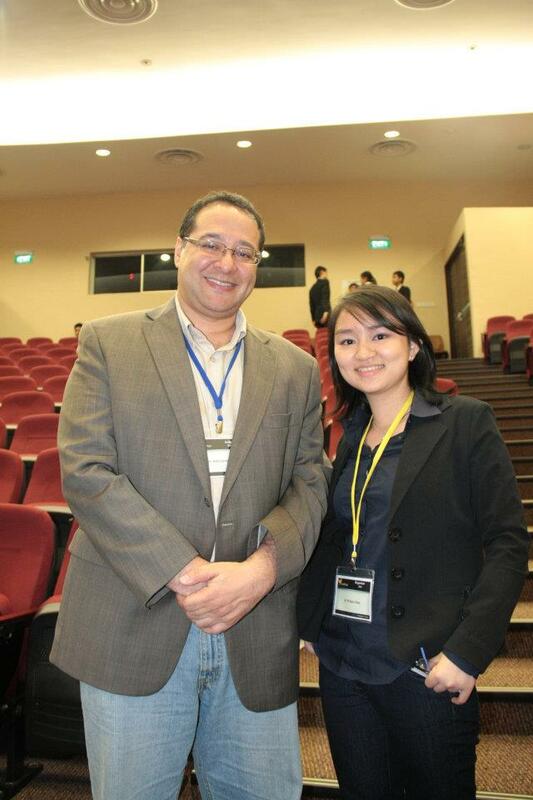 25 Dec 2011 After rounds and hours working with Ychallenge 2011 as an excellent Judge and Case Writer, Assoc. Prof. Adel Dimian has kindly accepted the invitation to join our Board of Advisors so as to further support us in the coming journey. 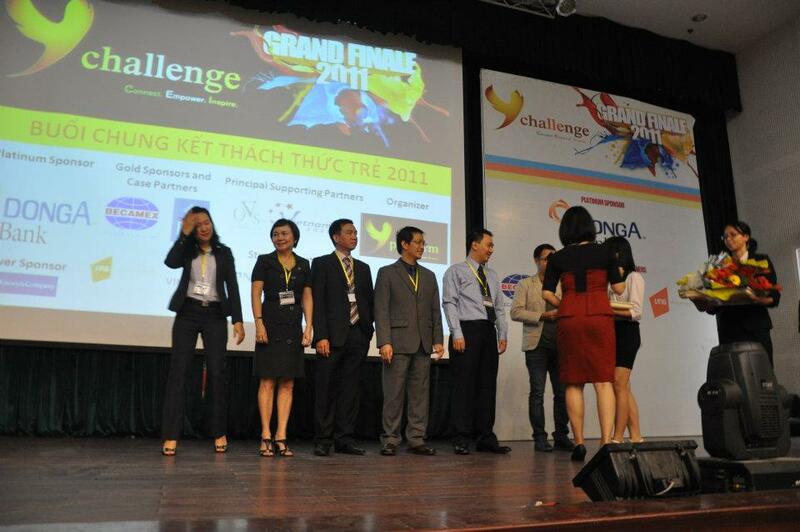 18 Dec 2011 The Grand Finale was organized in Ho Chi Minh City where the winning teams present their case solutions to the public. We expressed our tremendous to our corporate partners who have been supporting us along the way: Vinamilk, PNJ, Becamex, VNG Corporation, and DongA Bank. In addition, we also held a panel discussion with the management of partner companies on the topic “Enhancing Vietnamese business competitiveness leveraging on youth empowerment”. The discussion was moderated by Ms. Vu Kim Hanh. 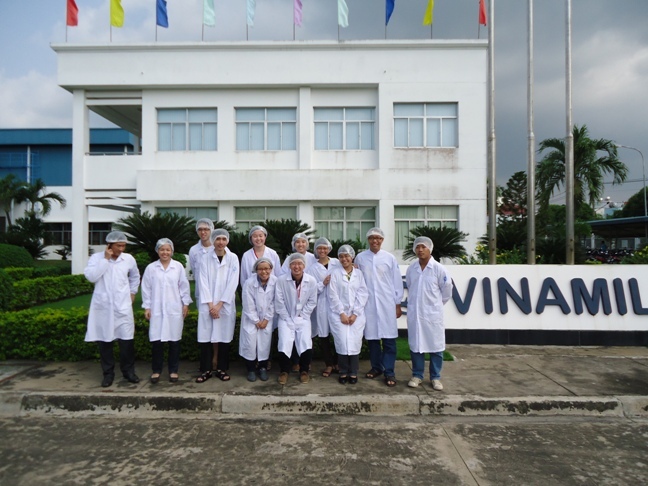 15-17 Dec 2011 8 finalist teams (32 participants) joined the Field Trip in Vietnam to our 4 partner companies: Vinamilk, PNJ, Becamex, and VNG Corporation; and make presentations to their top management. 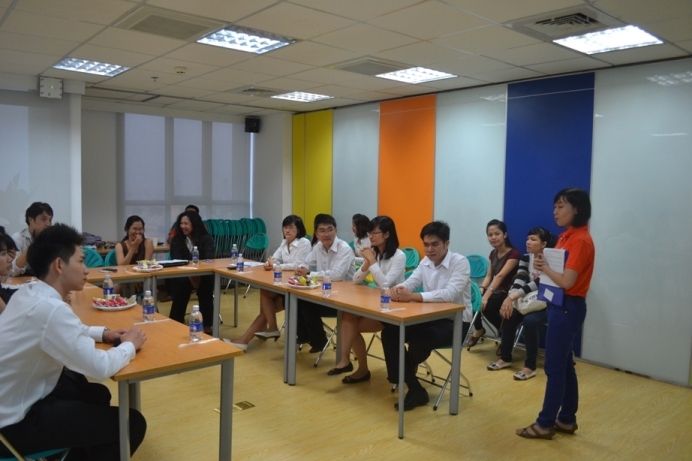 Among the 32 participants, 20 of them are Vietnamese students, and 12 of them are Singaporean/international students. 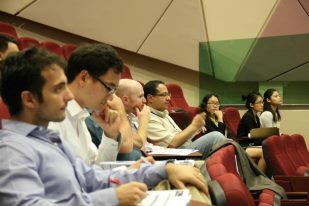 04 Dec 2011 The Case Presentation Day was held in Hon Sui Sen Auditorium, National University of Singapore. 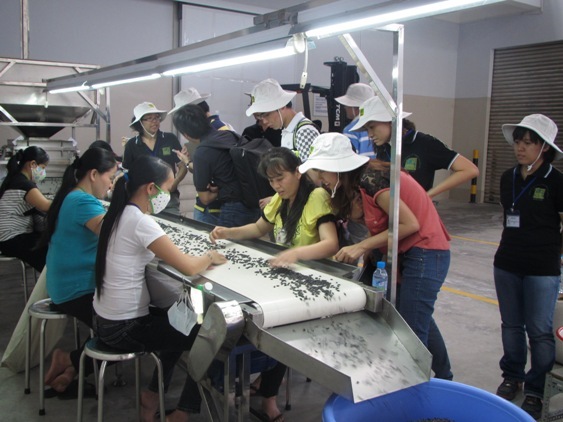 8 teams were selected to proceed to the Final Round in Vietnam. We expressed our sincere thanks to our Board of Judges who have been supporting us throughout the day. Please click HERE to view more pictures. 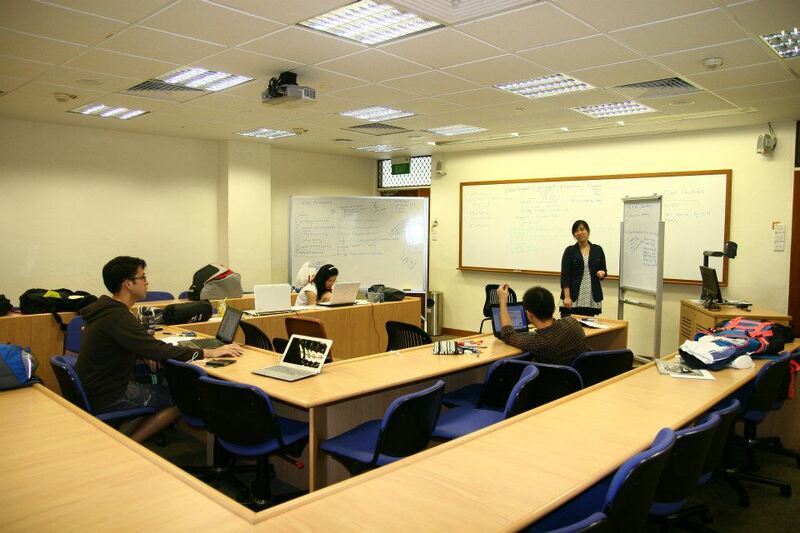 03 Dec 2011 The 24-hour Challenge was held in the BIZ 2 building, National University of Singapore. 20 teams from both Singapore and Vietnam solved the cases of 4 partner companies: Vinamilk, PNJ, Becamex, and VNG Corporation. 07 Nov 2011 McKinsey & Company joined as a Silver Sponsor. 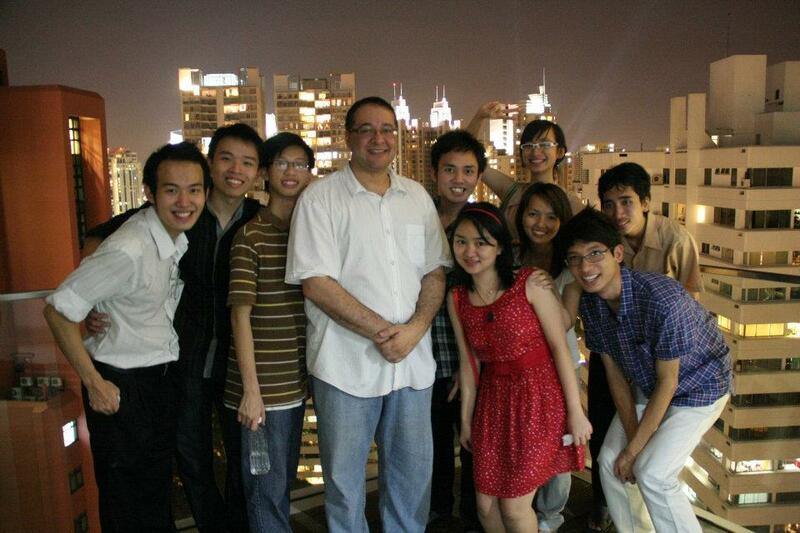 Since then, quite a number of consultants from McKinsey & Company has been supporting us as judges and mentors. 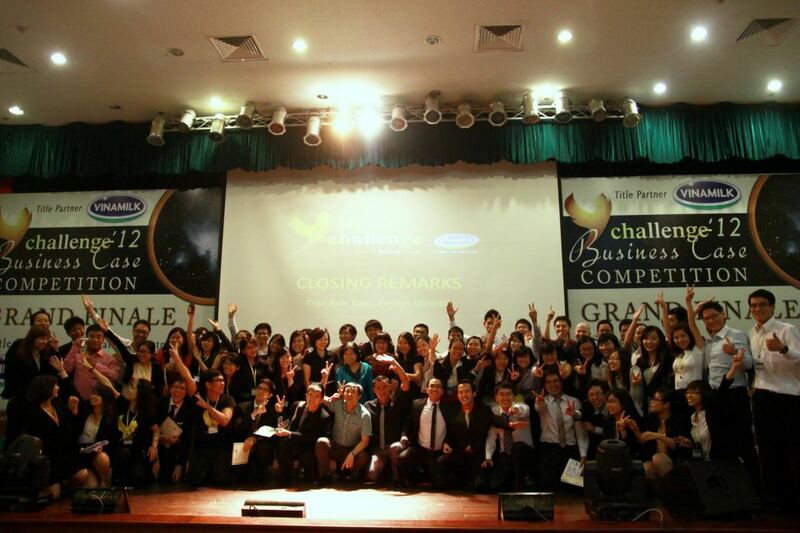 30 Oct 2011 The registration period of Ychallenge 2011 Business Case Competition ended. 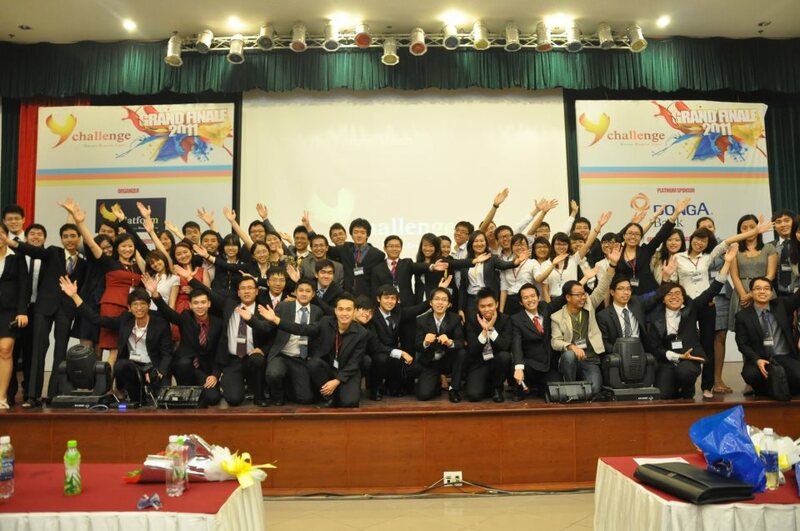 We were excited to receive overwhelming responses to participate in Ychallenge 2011 from 563 students and young professionals in Singapore, Ho Chi Minh City, Hanoi, Hue, Da Nang, and even a few in other countries. 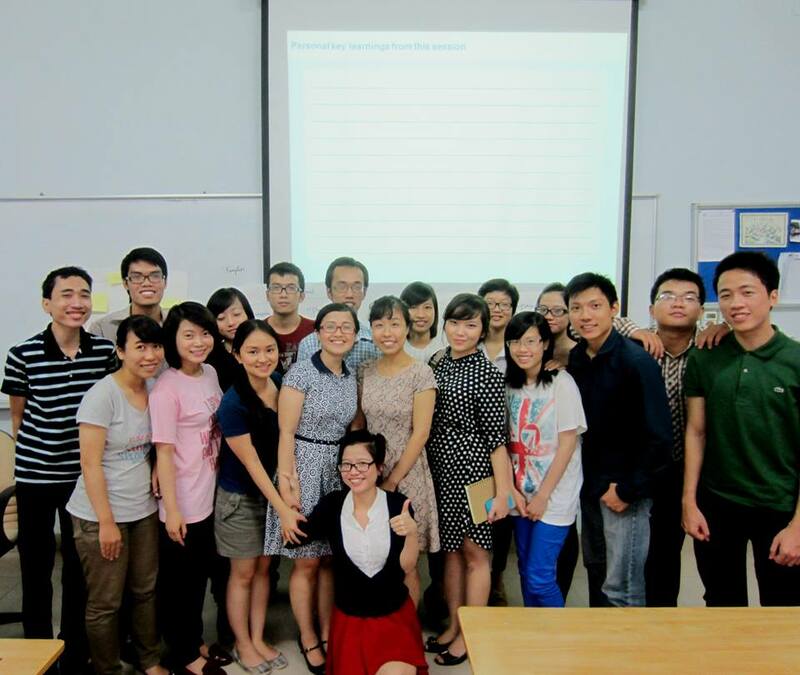 27 Oct 2011 OVS (Overeas Vietnamese Students’ Association of Ho Chi Minh City) came on board as one of our Partners. 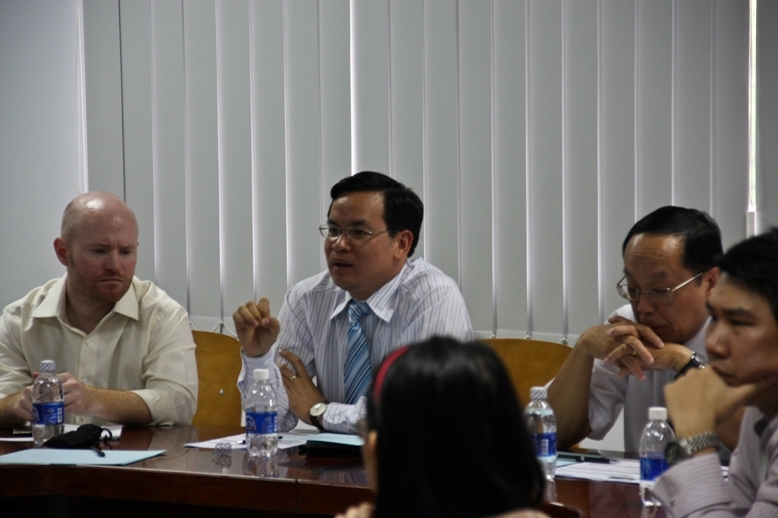 22 Oct 2011 Becamex IDC and Eastern International University (EIU) in Binh Duong Province confirmed their supports for Ychallenge 2011. 21 Oct 2011 A briefing session was held at NUS Business School to introduce about Ychallenge 2011 Business Case Competition. 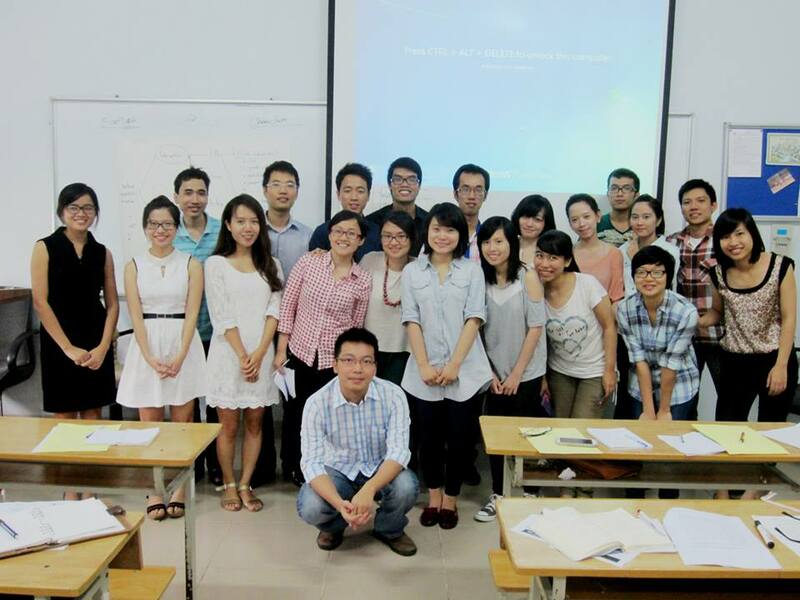 NUS Case Consulting Group joined to share their case solving experience. 18 Oct 2011 We welcomed the supports from Dr. Adel Dimian (Associate Professor) and Mr. Kevin Sproule (Senior Case Writer) from Singapore Management University to support us in development the business cases for our partner companies. 16 Oct 2011 We established a team in Ho Chi Minh City (Vietnam) with 11 members to support in various operations as well as organizing the Grand Finale in Vietnam. 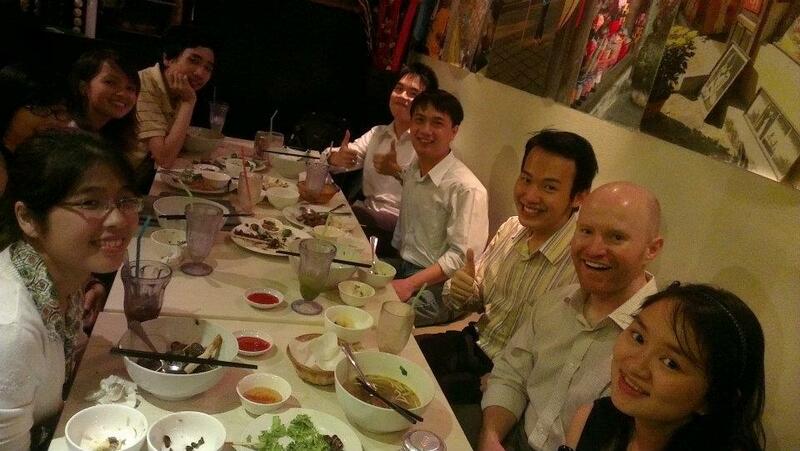 Yplatform team has now grown into another location besides Singapore. 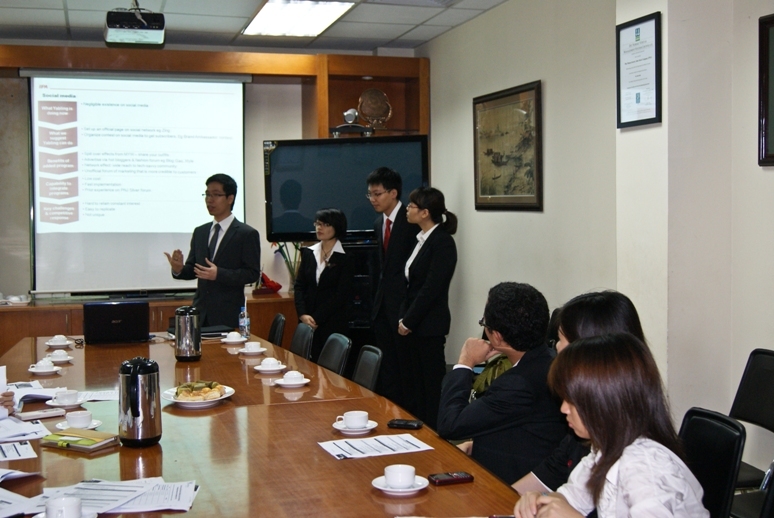 14 Oct 2011 VNG Corporation continued their supports for Yplatform with their participation in Ychallenge 2011. 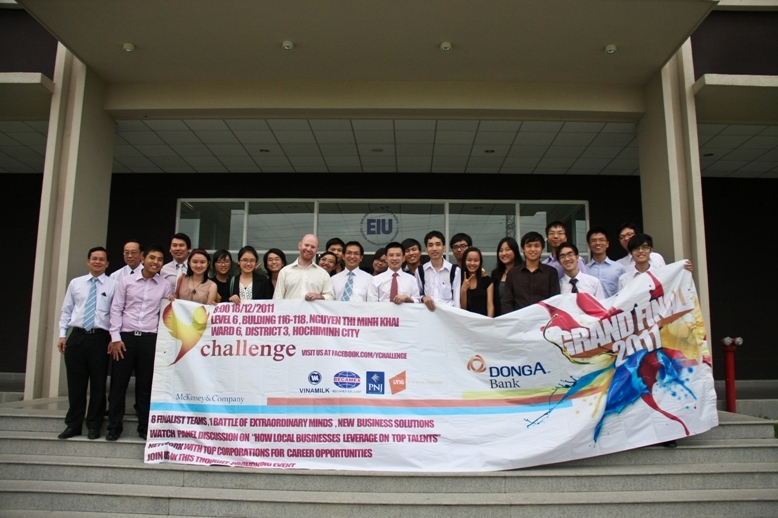 21 Sep 2011 DongA Bank and Phu Nhuan Jewelry (PNJ) joined as other corporate partners for Ychallenge 2011. 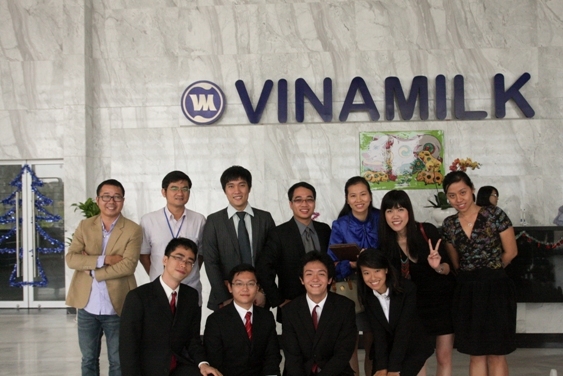 17 Sep 2011 Vinamilk is confirmed as the first Corporate Partner of Ychallenge. Since then, Vinamilk has become one of the most important partners of Yplatform, and was the Title Partner for Ychallenge 2012. We thanked Ms. Mai Kieu Lien and other leaders at Vinamilk for their trusts in Yplatform and our organizing team. 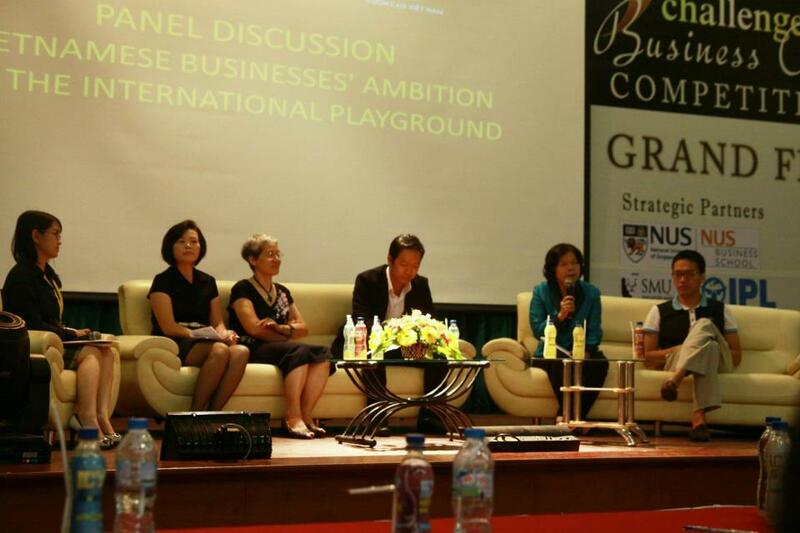 15 Sep 2011 NUS Business School (National University of Singapore) came on board as our Institutional Partner. We thanked the NUS Business School and Dr. Helen Chai (Assistant Dean) for their tremendous supports for Yplatform in Ychallenge 2011 and Ychallenge 2012. 17 Aug 2011 Mr. Pham Phu Khoi joined our Board of Judges as its first member. Mr. Khoi was then the Director-Vietnam Head, Investment Banking Group, Merrill Lynch (he has recently joined ACB Securities as its CEO). Since then, we have got more than 20 academicians/business experts participated in our Board of Judges. 26 Jul 2011 The team met with Mr. Albert Antoine and got his advices. Mr. Albert Antoine is another member of our Board of Advisors. 17 Jul 2011 The first meeting of the whole Ychallenge 2011 big team. The team has now grown into 21 members from 5 initial members. 24 Jun 2011 We got a lot more concrete ideas about Ychallenge program after the discussion with Dr. Vu Minh Khuong. The team thanked Dr. Khuong for his tremendous helps in shaping the directions for Ychallenge as well as Yplatform. We realized that we should not aim for just a Business CasC competition, but we should aspire to create a bridge between talented youth and the business community in Vietnam, and to create a conducive platform where like-minded individuals (regardless of locations, nationalities, or backgrounds) can network, share, and work together in the joint effort to strengthen Vietnamese business competitiveness in local and global market. The youth possess the passion to put the skills and knowledge trained from internationally recognized institutions into practice. Vietnamese businesses have the ambitions to grow and venture into new waters, but it could be worth to have international perspectives to look into and make the ambition more complete. It is this gap that Yplatform envisioned to fulfill and TOGETHER, we hope to lay the first brick of a model that could possibly contribute something tangible to the well-being of our country – Vietnam. 22 Jun 2011 We started recruiting for more members to join our Ychallenge 2011 team. Our spirit is: “At Yplatform, it is not so much about YOU joining US. It is more about WE exchanging our visions and passions, finding some common grounds, doing something together and improvising along the way.” And we are excited to see many young like-minded people sharing our aspiration. 06 May 2011 The first meeting of Ychallenge core team at Prince George’s Park Residences (National University of Singapore). The first members include: Bich Diep, Ngoc Giao, Vinh Toan, Minh Thai, and Quang Thai; with Bich Diep as Ychallenge’s first project director. In Ychallenge, we would like to create a playground for young talents in Singapore to apply their skills and knowledge to solve specific business problems faced by the business community in Vietnam on their journey to explore and conquer the global market. For example, participants may be asked to demonstrate their market research competency in gathering market intelligence then forming recommendations for a Vietnamese canned food company to penetrate into the Singapore supermarket system. The finale will, then, be the chance for finalist teams to showcase their excellent research and business proposals although initially prepared for specific companies but general lessons can be learnt and applicable to a wider business community in Vietnam. 27 Mar 2011 Four months have passed. While each of the Ysummit 2010 organizing team members have ventured in different journeys, we do not forget our initial promises, the promise of living the “Y-Spirit”, of building “Yplatform” where any Vietnamese youth can find support and resources from fellow countrymen and women, old and young to make their own and others’ dreams come true. We think that Yplatform should be like no other organization where the existence of which is dependent on the leadership of certain key personnel. So on this day, the team gathered at a meeting room in Yusof Ishak House (National University in Singapore) to affirm the start of Yplatform which will be the platform to connect, empower & inspire the youth to take the lead in future waves of challenges, particularly those specific to the development of Vietnam. 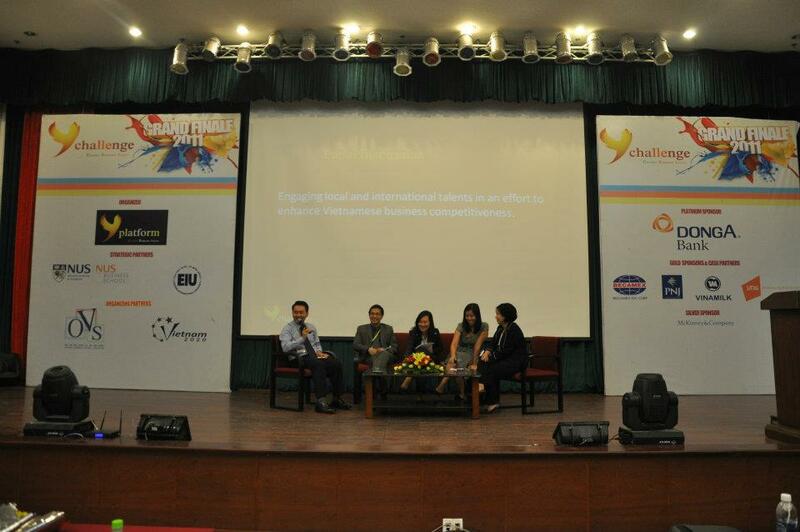 We also decided on Ychallenge Business Case Competition which will be the next event of Yplatform. There have been a score of potent events that have challenged our courage, patience and mentality; but we now felt the urge to build up and utilize collective intelligence and expertise to bestow our homeland facing new challenges. 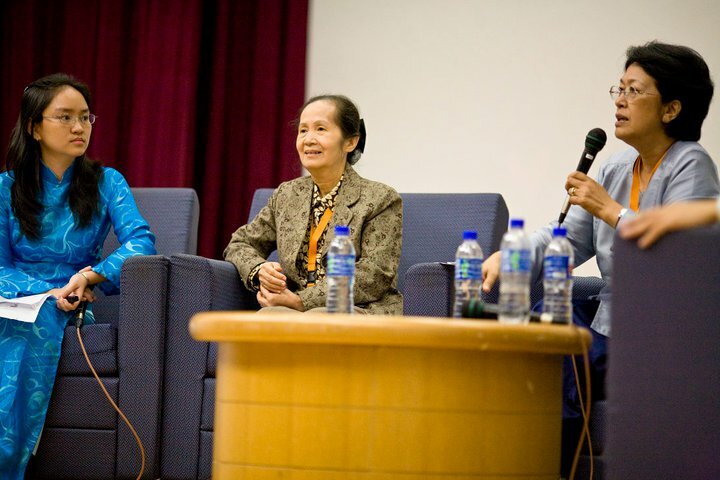 Ysummit 2010 with the theme of “Discover the Opportunities to Groom Your Talents for Vietnam” took place in Hon Sui Sen Auditorium (National University of Singapore). More than 200 students and young professionals in Singapore was inspired by the 17 high-profile guest speakers who are the forerunners with diverse backgrounds in academia and business from both Singapore and Vietnam (e.g. Mdm. Pham Chi Lan, Mdm. 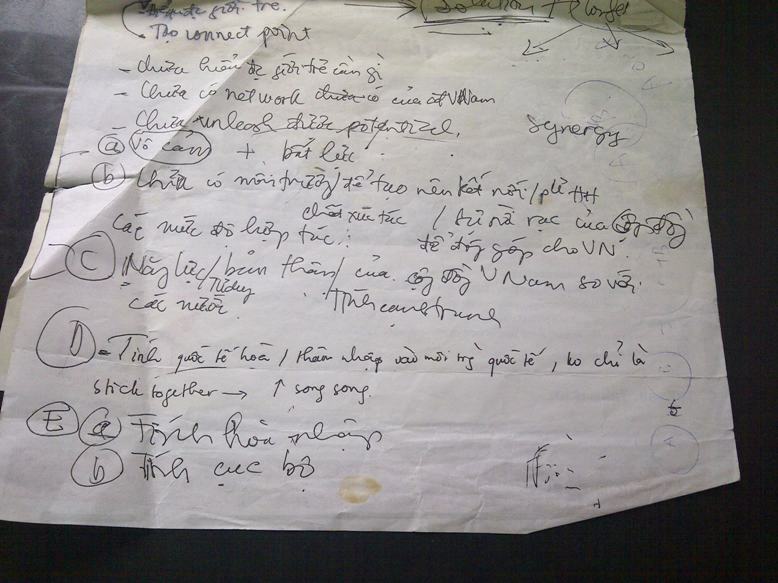 Ton Nu Thi Ninh, Dr. Vu Minh Khuong, Dr. Albert Teo, Mr. Albert Antoine, Dr. Phan Quoc Viet, Mr. Le Hong Minh, etc.) who have shared their experience and discussed about the various opportunities to contribute to Vietnam’s development. There were 7 panel discussions with topics about education, entrepreneurship, youth-led initiatives, science and technology, corporate career path, roles of the youth, and the synergy of overseas Vietnamese communities. The event was an inspiring experience for the organizers, speakers, and participants; and was covered on a number of leading newspapers in Vietnam like VietNamNet, Nhân Dân, Tiền Phong, NDHMoney, etc. Please click HERE to see more pictures of Ysummit 2010. VNG Corporation is confirmed as the Gold Sponsor of Ysummit 2010. Since then, VNG Corporation has become one of the most important corporate partners of Yplatform, and has also supported our Ychallenge 2011 and Ychallenge 2012 business case competitions. 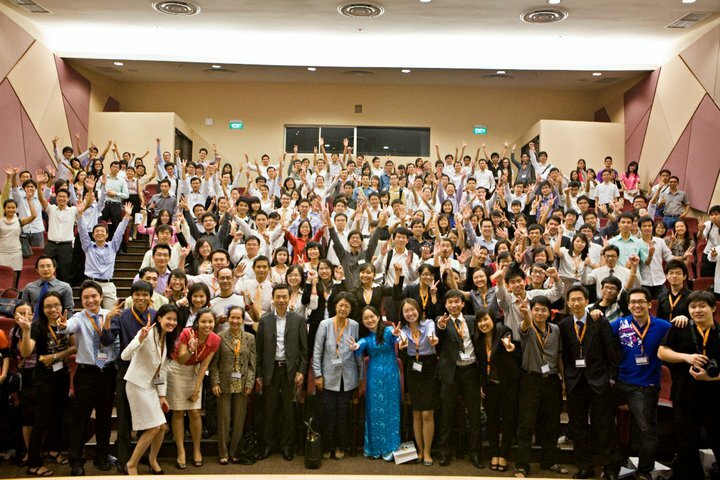 The Centre for Social Entrepreneurship and Philanthropy (NUS Business School) joined Ysummit 2010 as a partner and venue sponsor. Mdm. Pham Chi Lan (Former Member of the Prime Minister’s Research Commission of Vietnam, and Former Vice President of Vietnam Chamber of Commerce and Industry) agreed to join Ysummit 2010 as our first Guest Speaker. Two years later, since May 2012, Mdm. Pham Chi Lan has joined Yplatform’s Board of Advisors to further support us. The first meeting of the whole Ysummit big team. The team has now grown into 21 members from 9 members. The name Yplatform was initiated. Although Yplatform itself has not really established yet, we know that we are working towards it, and Ysummit will be one of the key starting points to create a network of committed and empowered individuals and inaugurate such platform (Yplatform) where the youth can exchange ideas, find mutual voices, explore opportunities and seek supports to realize ideas and translate their talents into meaningful impacts for Vietnam. We have decided to organize our first event, called the “Youth Symposium” (which was later named “Ysummit“) to provide the youth with useful knowledge/opportunities to broaden their perspectives on how Vietnamese youth can be part of the country’s development. More than half a year has passed. The team has been embarking on their own different journeys, some very far to the other continents (like Europe and Africa), some with their own initiatives, some venturing into the depth of their own souls. But the team do not forget their initial promises. 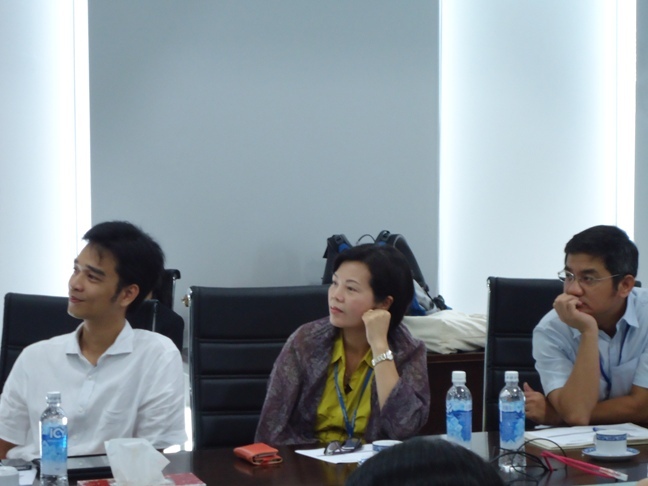 They gathered in a meeting room in Singapore Management University (SMU) and discussed about their real passions. Ms. 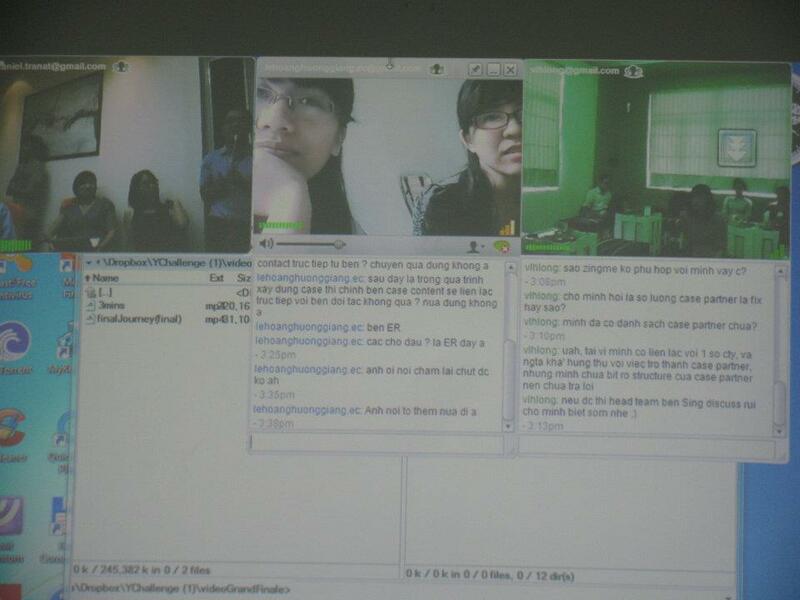 Le Thi Ngoc Giao joined the meeting through Skype. Mr. Dang Tan Duc drafted a paper below about Vietnamese youth which still served as one of our key references. We once again re-affirmed our spirit of “CONNECT – EMPOWER – INSPIRE“. One of our founding members, Mr. Nguyen Quoc Tuan Anh raised an idea of the “open platform” to gather like-minded young people, develop their potentials, and empower them with capacity/supports so that they can make impactful contributions. The idea was quickly shared by the team. Dr. Vu Minh Khuong (Assistant Professor at Lee Kuan Yew School of Public Policy, Singapore) came on board as our first Advisor to support our causes. Dr. Khuong suggested us to focus on an important question: “How can Vietnamese companies increase their global competitiveness?” The team agreed with Dr. Khuong to start thinking about it (later, this idea has become a key long-term building block for Yplatform). Those passionate Vietnamese students/young professionals gathered at a fast-food restaurant in CityVibe building, Clementi (Singapore) and started thinking about how overseas Vietnamese youth in Singapore can contribute to the sustainable development of Vietnam. The slogan of “CONNECT – EMPOWER – INSPIRE” was agreed upon and is still in practice until today. Ms. Le Thi Ngoc Giao was in Australia at that time, but participated in spirit. Except Mr. Nguyen Quoc Tuan Anh who has been working for one year, all others were students of National University of Singapore (NUS), Singapore Management University (SMU), and Nanyang Technological University (NTU). Having served in various leadership positions in the Vietnamese student organizations as well as other student clubs in their universities, and been inspired by I4Vietnam, they felt the needs to bring those activities to a greater scale, and that the Vietnamese youth in Singapore could do much more to our country when coming together. Inspired by I4Vietnam, an idea of the platform to enable Vietnamese youth to contribute to Vietnam’s sustainable development was first raised by Mr. Dang Vu Quang Thai, and quickly shared by many others. 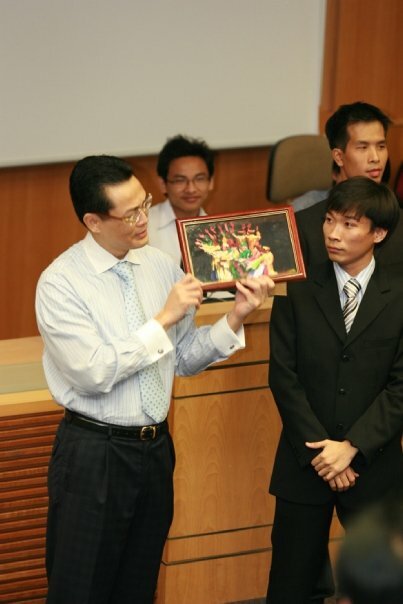 14 Mar 2009 The founding members of Yplatform met in I4Vietnam Contest, which was organized by VNCNUS (Vietnamese Community in National University of Singapore). Mr. Dang Tan Duc and Mr. Dang Vu Quang Thai were part of the organizers in their roles as the President and Vice President of VNCNUS. Ms. Le Thi Ngoc Giao, Mr. Nguyen Quoc Tuan Anh, Ms. Ngo Le Kim Anh, and Ms. Nguyen Bao Khanh were part of the contestants. Ms. Nguyen Thi Lan Ngoc and Mr. Dang Hoang Vu were part of the audience. The spirit of I4Vietnam was initiated by Mr. Dang Tan Duc, which was then the first event in Singapore where Vietnamese students gathered to share ideas for Vietnam’s development. The event was well received, and was attended by the Ambassador of Vietnam to Singapore, His Excellency Mr. Nguyen Trung Thanh, as the Guest of Honours. Our founding member, Mr. Dang Tan Duc (then President of VNCNUS), presented a token of appreciation to His Excellency Mr. Nguyen Trung Thanh – Ambassador of Vietnam to Singapore.